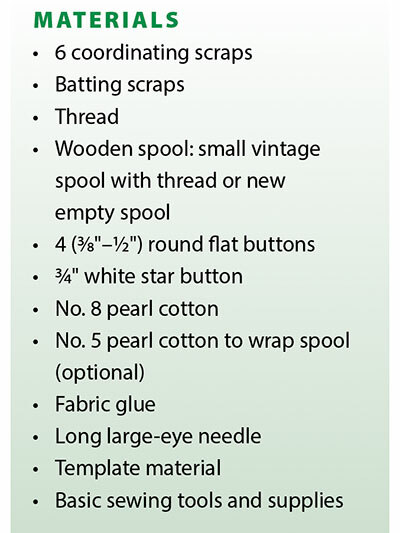 Unique ornaments to make with scraps. 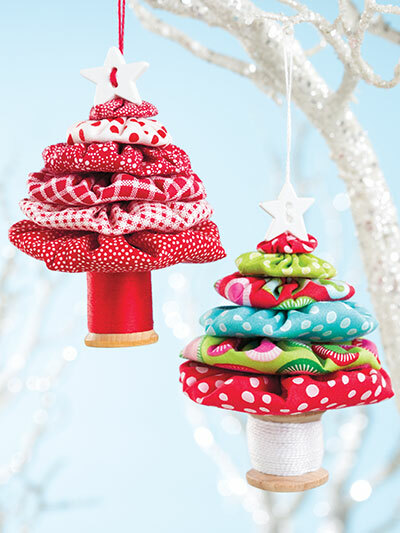 Turn your Christmas fabric scraps into gorgeous ornaments. 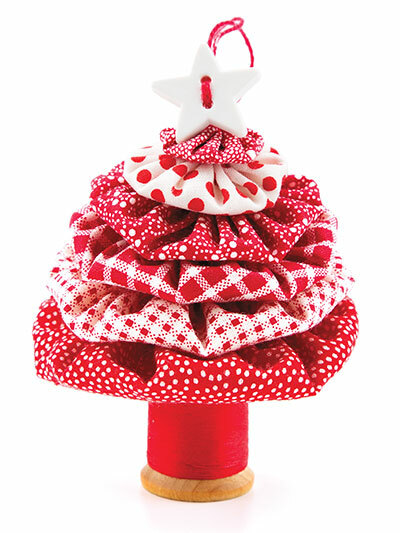 Hang them on a tree or give them as gifts! Finished size is 3" x 4". I made this pattern for the girls that I work with as there Christmas gift this year. They went together quickly and were alot of fun to make. My only problem was finding star buttons and the spools for the base. Finally found the buttons but had to substitute the thread spools from the emergency kit that they sell at Walmart. They worked, was easy to color coordinate them to the material but they were possible a little on the small side. All in all great experience with this pattern. Will definitely try another one soon.